At GlassMogul we protect all types of glass for both residential and commercial applications. Our pioneering technology helps protect against hard water deposits, limescale, and other glass stains allowing for easy cleaning. Our protection is durable and non-stick and is ideal for showers, decorative glass, architectural glass, windows, sunrooms, and even marine applications. 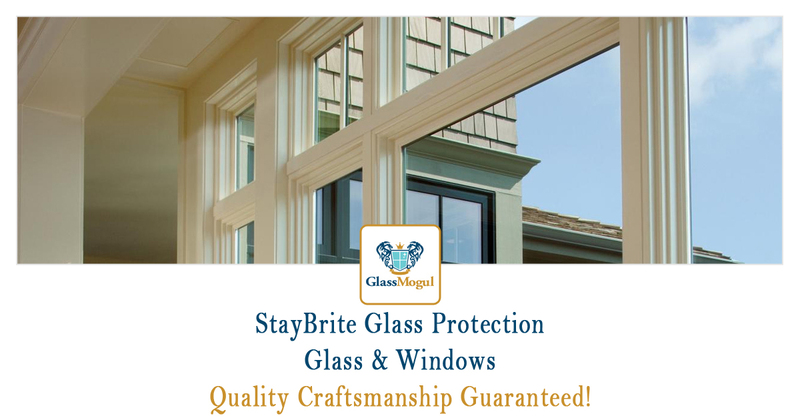 Count on GlassMogul StayBrite glass protection to keep your surfaces like new. When it comes to protecting glass, we offer architectural, boat glass, conservatory, decorative, flooring, marine, railing, shower enclosure, shelving, sunrooom, and window protection.